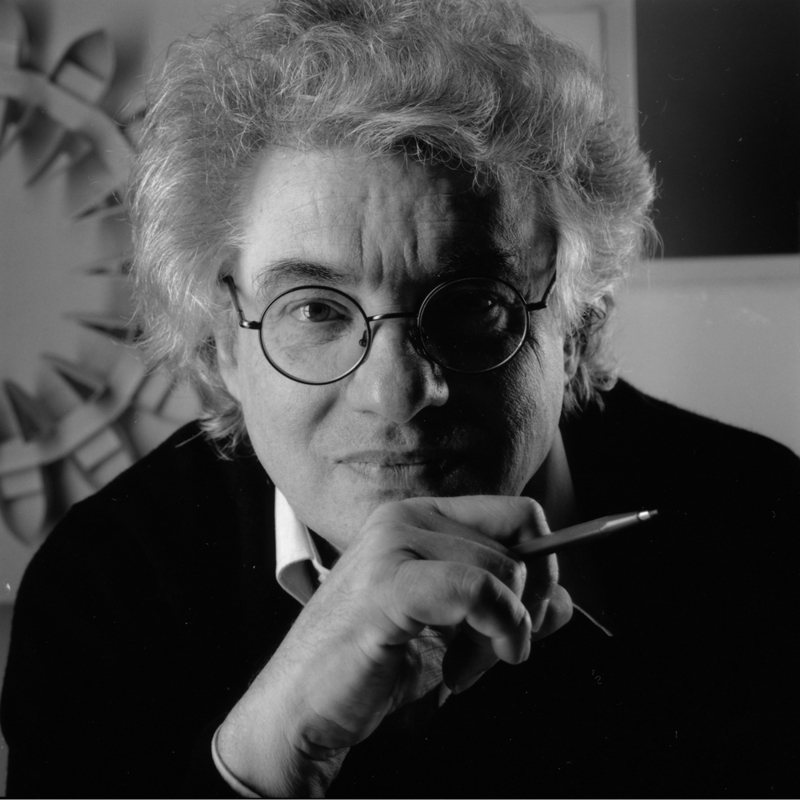 Born in 1943, Swiss architect Mario Botta began his design career at age 16. He hasn't looked back since. As a young designer, he worked as an assistant to both Le Corbusier and Louis Kahn. His work has been called both modern and classical, and he's also identified with the Italian neo-rationalist group, the Tendenaz. 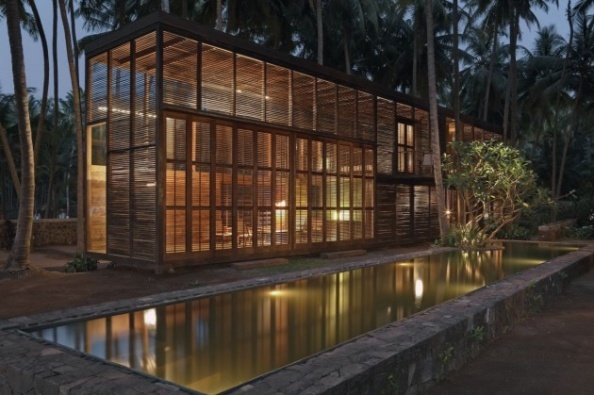 Of late, though, he's been focusing not just on monumental design, but on the artisans who now are creating sophisticated spaces out of ordinary materials, and on fellow architects who design from the heart for the common man. In 1996, he founded the Academy of Architecture in Mendrisio, with Bruno Galfetti and Luigi Snozzi. After learning the technical aspects of architecture, students there tben focus on the humanities; the school offers courses in philosophy, art history, anthropology and sociology. 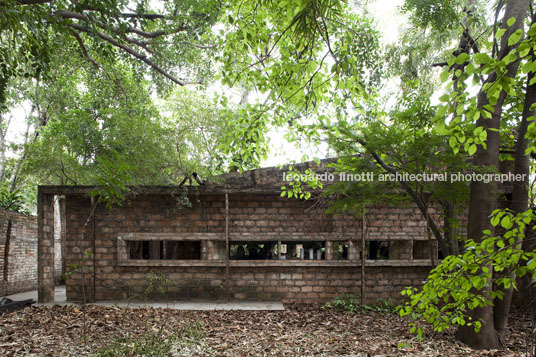 In September, at the staging of the third international BSI Swiss Architectural Award under the aegis of the Swiss Federal Office for Culture in Bern and the Academy of Architecture of Mendrisi, Botta presented the award to Bijoy Jain of Studio Mumbai, India. Botta then led a roundtable discussion at the Venice Biennale about the award and what it means, bringing together this year's winner as well as past winners Solano Benitez of Paraguay and Francis Kere of Burkino/Faso and Germany. You've had an interesting series of relationships with educational institutions during your career, including quitting school at 15 to work as a draftsman, and later graduating from college without attending classes. Can you elaborate on that a little? Would you recommend that path to a student today? To me it was fascinating, the idea of going to university and studying a subject - architecture - that I had already faced in building some small houses. I believe that the present education program is - from the one side, too theoretical and - from the other, too aloof from the work of man. It was very useful to learn the history, the theory and the art of building from a practical background. That's the reason why I advise my students to attend the internship year (which is compulsory at the Academy of architecture in Mendrisio) as soon as possible. Can you describe your relationships with Le Corbusier, Louis Kahn and Carlo Scarpa? What did you learn from each? I was privileged to meet these three masters during the years of my university education. Le Corbusier represented the history of architecture itself. Louis Kahn had the sensitivity to get to the root of the problems. Carlo Scarpa could make "speak" even the "poorest" material. 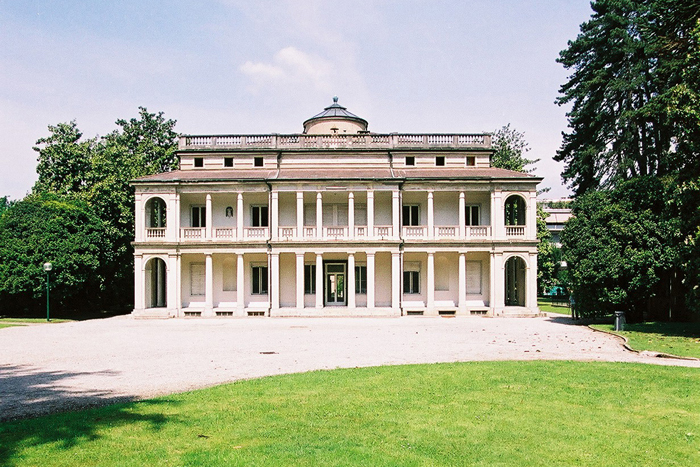 Why did you create the Architectural Academy in Mendrisio? What is its mission? Its vision? Its legacy? The Academy of Architecture in Mendrisio comes from afar. Our land has a millennial history of emigrations: master masons, architects, builders, decorators, plasterers, artists from the world of building. In some sense architecture pays its debt of gratitude towards these workers that have left signs all over the world (Borromini, Fontana, Trezzini and many others). In 1996 I took advantage of some favourable circumstances to propose to the state of the Ticino Canton the foundation of the Academy of architecture and, with it, an Italian-speaking university in Switzerland. Many of your works could be called monumental, but you are committed to the BSI Swiss Architectural Award, which finds its monumentality in recognizing architecture that is smaller in scale than, say, the Bechtler Museum in Charlotte, N.C. What is the intent of such an award? The purpose of the BSI Swiss Architectural Award is to recommend young architects (under 50) that enriched, thanks to their work, the contemporary cultural debate. In this moment of globalization and trivialization of architecture we thought it interesting to recommend those who could revive the traditional values of the discipline. Could you please elaborate on the BSI Swiss Architectural Award's emphasis on both the architect and the artisan? Why is this important? We give great importance to this emphasis because, as already mentioned above, the craftwork brings in itself the antibodies to resist the trivialization of the International style. The first three winners of the award - Solano Benitez of Paraguay, Francis Kere of Burkino/Faso and Germany, and Bijoy Jain of Studio Mumbai in India - each show a commitment to designs for their fellow citizens. Is this why they were selected, and what else does their work have in common? Each winner faced the social issue in a different way. 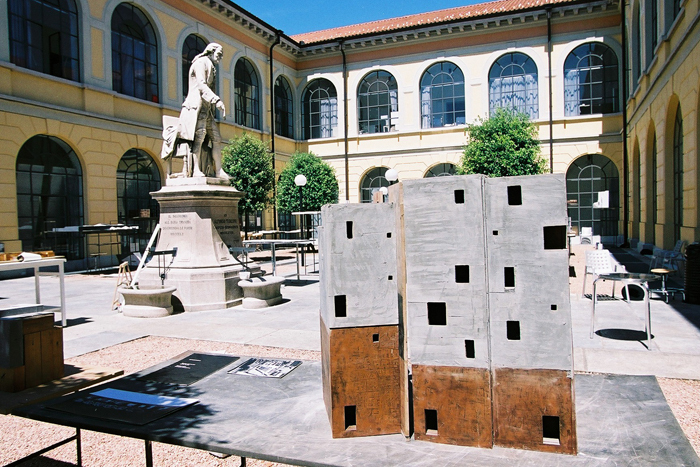 The jury awarded the fact that it is possible to create "rich" spaces even with "poor" materials. We thought that the quality attained was directly proportional to the social values of architecture. What is your next and most exciting project? Now I am building an academy of art for 4000 students in Shenyang, China. The project aims to become a citadel of the art whose roots dig in a millennial culture that opens up to future creativity. My clients are as well the artists that, in this historical moment, interpret the gamble with the future of their country (and, perhaps indirectly, even of the entire world).